Your White-Wilson health care team is here to help you manage your overall health and wellness. We believe that preventive health care is important, and the most effective way to fight against many diseases and ailments. Click here for a list of recommended health screenings and exams by age and gender. Confused about what health insurance benefits you qualify for? 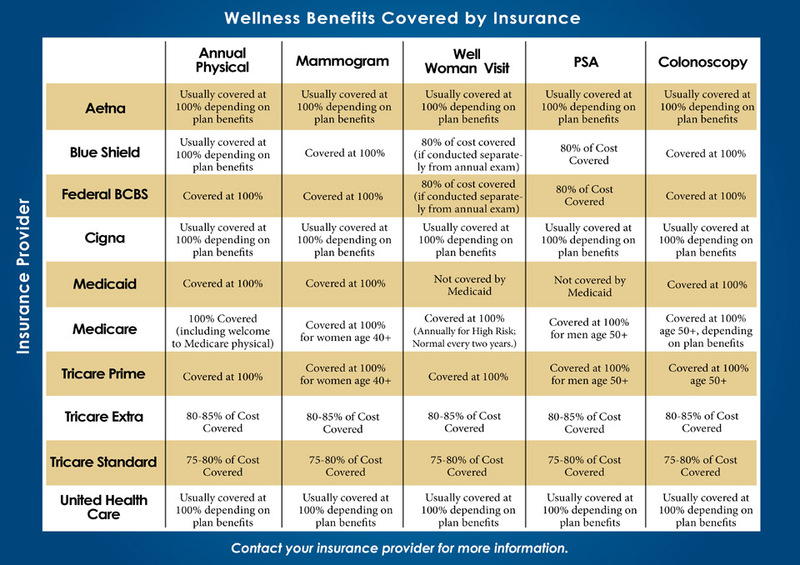 Most major insurance plans cover important wellness exams and screenings. Here is an overview of what health exams and screenings your insurance may cover. Learn more about recommended preventive screenings for both men and women by clicking on the designated links below.